Looking for a break in a large self catering cottage, house or country mansion in the UK or Ireland? Large cottages are often essential for large groups or even large extended families. The benefits of booking a large holiday cottage include more room for everybody to enjoy. There are many kinds of big holiday cottages including large country houses, mansions and farmhouses, large country cottages and large coastal cottages to name but a few. In many cases large holiday cottages have large grounds or gardens to enjoy which is another bonus and important for lots of large groups. Some big cottages also have additional facilities such as pools or function rooms for example where guests can spread out and make use of these extra facilities. Check individual cottage ads for full details of what each large holiday cottage has to offer. Click the link if you are interested in cottage complexes where there is a collection of cottages able to accommodate large groups spread among the various cottages. Sometimes it is possible to book all the cottages exclusively for your particular group. If you are looking for a large house for a special occasion such as a wedding, take a look at our page of houses for wedding venues or big party houses for special celebrations if you are looking for a large house to celebrate a special occasion. 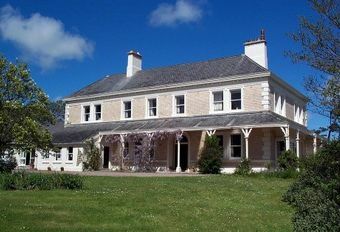 For large holiday cottages in England, Scotland, Wales or Ireland with 5 or more bedrooms read on. Or if you are looking for a large cottage but not quite as large as 5 bedrooms, click for 4 bedroom cottages. Use the Sort By menu to refine your search. Whatever type of large cottage is ideal for you, we trust that you will enjoy looking at the properties featured on Country Cottages Online.